We are back in Bali for the seventh time in a span of 2 years, and the reason is that there's just so much to see each time! 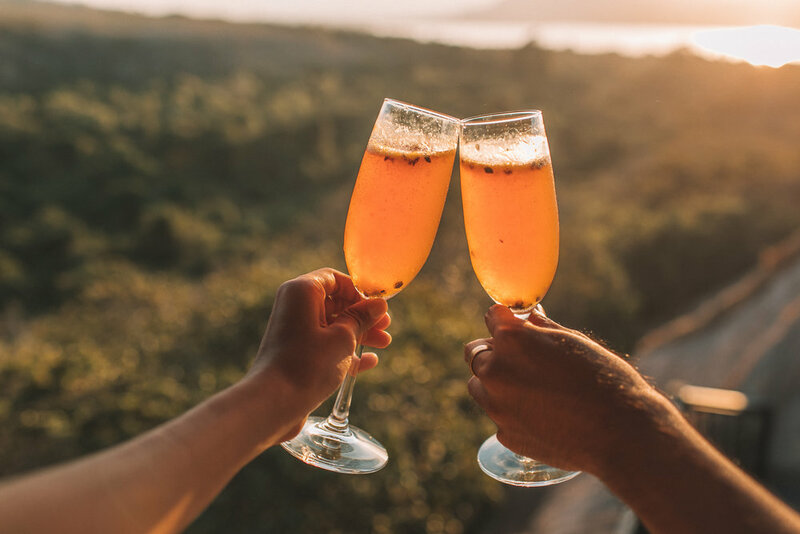 We were invited by Electrify Magazine to spend 7 days experiencing the most relaxing getaway with Lifestyle Retreats, exploring their different resorts, visiting many amazing attractions in Bali, and just relaxing with nature. Our first stop was The Amala in Seminyak which is one of our favorites because its a hidden paradise in the city. We took around 20 minutes from the airport and arrived at a sanctuary in the city, stepping into the Amala was like stepping into a luxurious secret garden nestled in the heart of seminyak. The Amala provided us with a villa equipped with our own pool, which was nothing short of amazing. After getting settled in, we stepped outside and walked around to to a little bit of shopping around the area. It didn't take us long to decide to go back and have a quiet lunch with the Electrify team. We were then treated to an amazing 90 minute spa treatment courtesy of The Amala and it was one of the best spa treatments we've ever had. After a long flight, sometimes all you need is to get settled and relax and we got exactly what we needed. 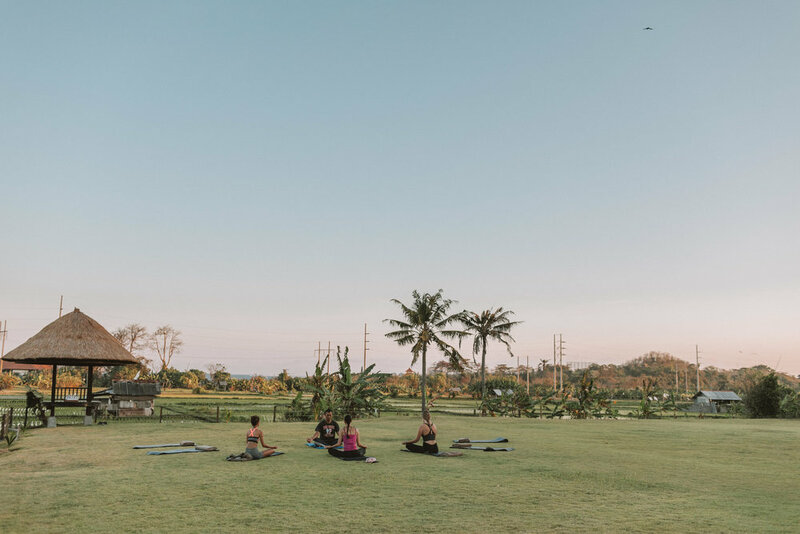 Since Lifestyle Retreats is all about relaxation, our next day agenda was early morning yoga which helped recharge our system and help us get through the day, we were then treated with an amazing breakfast that was sent to our room, all breakfast items are healthy which is what we love about Bali! After staying a night at The Amala, we headed on a whole day journey to see spectacular attractions around Bali. Our first top was the Monkey Forest in Ubud, an amazing place where Monkeys roam free in their own habitat, and are not treated with cruelty. 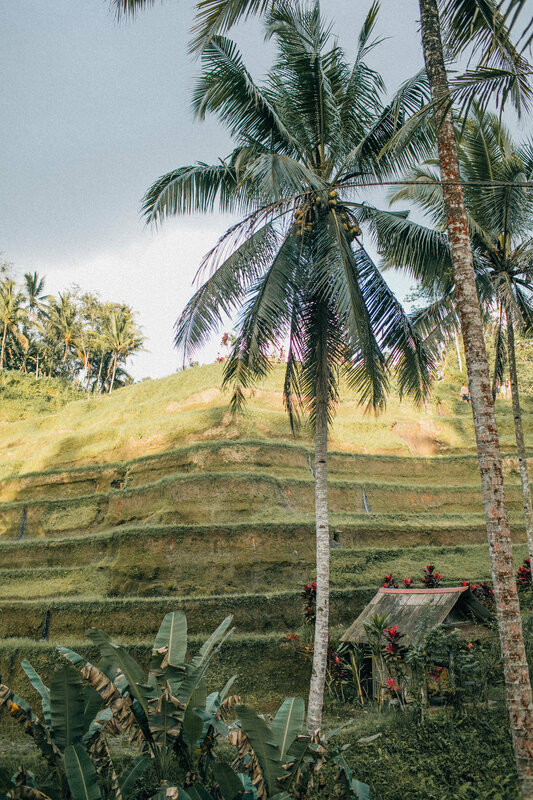 We then headed straight to the iconic Ubud Rice Terraces to get amazing photos during the golden hour. We highly recommend choosing to go during the morning or later in the afternoon to avoid the crowd and to get the best light. We headed to Sanur for our next destination, and stayed at The Samata, another lifestyle retreats hotel. The Samata was definitely a favorite, located in Sanur which is just a an hour from Seminyak, is a quaint place to relax because you wake up next to the rice paddies with the sound of waves in the distance. We arrived in the evening and woke up early the next morning to watch the sunrise at the beach and go around the rice paddies. The Samata has the most amazing architecture and we had the most magnificent view from our room, they also have the most amazing food and people as well. After we grabbed breakfast, The Samata arranged a cooking class for us and the whole team, they taught us how to cook some of their dishes in the menu and everything about nutrition, which is something we all need. After the our time at The Sanur, we headed on another 4 hour trip to get to The Menjangan. Being at The Menjangan definitely felt like we were not in Bali because we were able to immerse ourself in the amazing safari-like wilderness. The Menjangan surprised us with a raw experience, from safari cars, horse rides and being able to see magnificent wild animals roaming free around outside our beach villa. Waking up in The Menjangan was the most serene experience, we were greeted by deer outside our door and the sound of the waves and a beautiful sunrise, we had our breakfast by the sea with the company of squirrels climbing the trees. We started our second day catching a boat to Menjangan Island where we snorkeled and had a wonderful lunch at sea, and then we rode horses at sunset by the beach, it was the ultimate dream but nothing beats being given the chance to plant trees and contribute to helping the earth which is one of The Menjangan's activities for the guests. It was definitely the most relaxing, serene, trip to bali we've ever been a part of. It has opened our eyes once again that bali is so full of surprises! There is really so much to see, from the touristy places to the most secluded areas. It's so important to do research before embarking on any journey and we hope we have helped in any way to inspire you to visit the amazing locations we have.